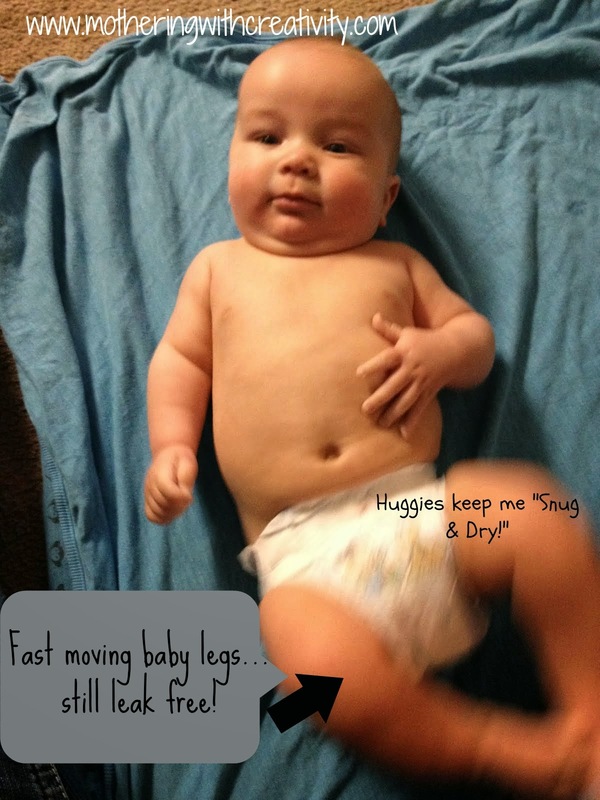 Many thanks to Huggies for sponsoring today's story, and challenging me to put Huggies Snug & Dry to the test! I have had at least one kiddo at all times in diapers for the last 6 years. That's seriously a lot of diapers. A lot. A lot of diapers can also equal a lot of money. If you've been around my blog for any length of time, you know that I am very frugal as we work our way towards becoming debt free, and spending a lot of money on diapers is definitely not in my plan! I've done the super expensive, soft diapers, and I've done the super cheap, "be prepared for poo on your clothing" diapers. Both extremes are so not worth it! Side note: It's seriously hard to get good pictures of a wiggly 4 month old! When Huggies provided me with their Snug and Dry with SureFit* diapers for the Huggies Real Life Challenge, I was super excited (Hey...free diapers are always an exciting thing around here!). Basically, my diaper qualifications are: 1. they must hold up to leaks and stay dry all night, and 2. they must be a frugal option. In addition to the same trusted Leak Lock protection parents have come to love, only Huggies Snug & Dry Diapers have SureFit Design, to provide long-lasting fit for up to 12 hours of leakage protection. Levi had several dry days in these diapers, but I was slightly doubtful about nighttime. So, we put them to the test at bedtime. Mr. Levi has slept through the night (10 hours) and woken up perfectly dry each night that he's worn these diapers to bed! I have to admit, I've been pretty loyal to a particular brand of diapers for a long time. 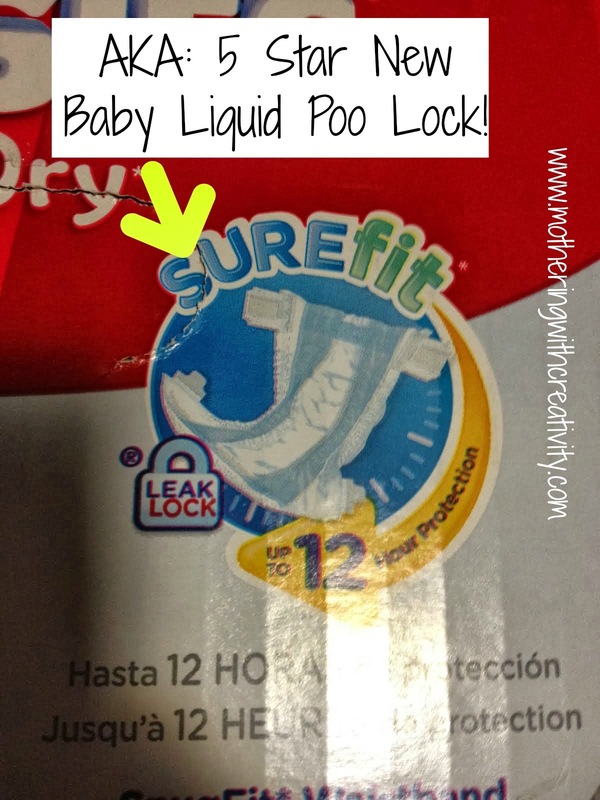 So I was more than a little surprised when these diapers, with the SureFit band, better held in that liquidy newborn poo on the back side than my favorites! Really, I was quite surprised. 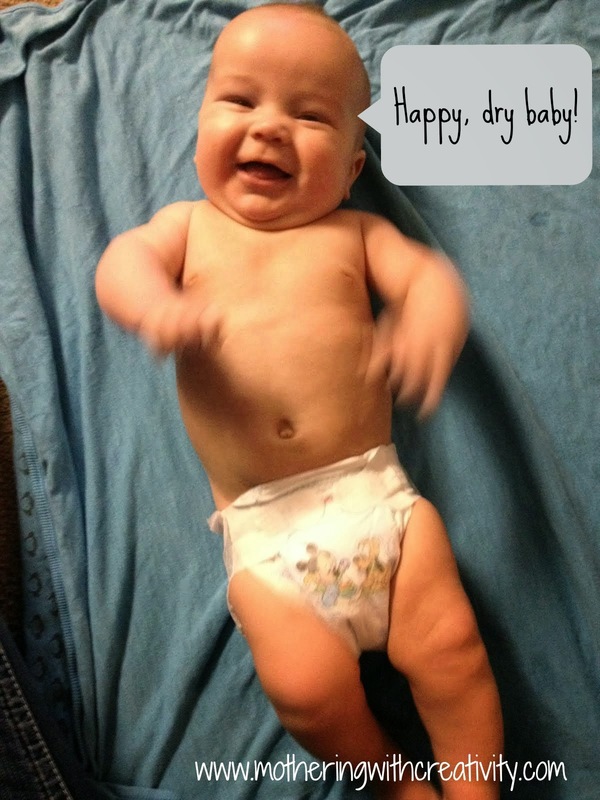 I LOVED that Huggies Snug & Dry with SureFit not only passed my "soft and hold liquids on the inside" test, but they also fit my "budget friendly" one, too. I typically buy my diapers online via Amazon prime and have them delivered to my door. A HUGE box of 246 size 2 diapers on Amazon (using Subscribe and Save to have them auto delivered each month) costs only $36.79. That works out to only $.15 per diaper, which is a fantastic price, and fits my budget better than my other diapers did! 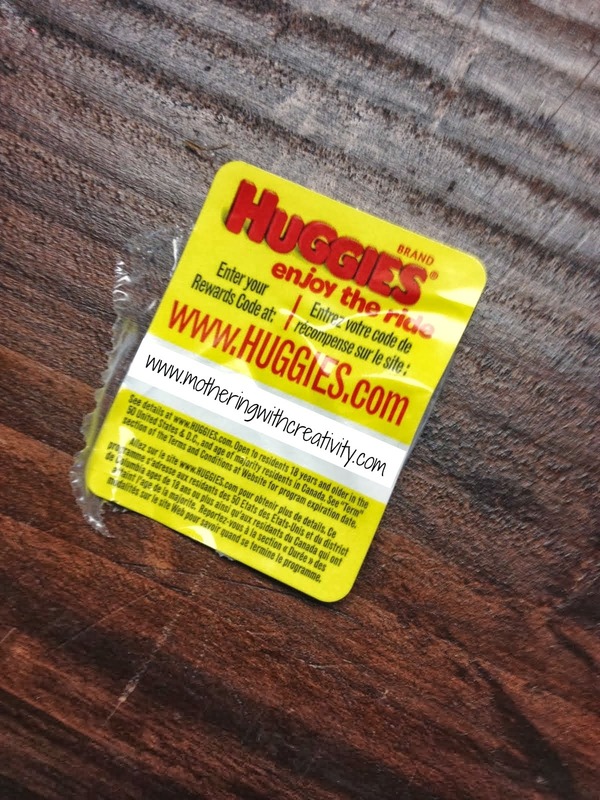 Huggies also has a rewards program, so when you find these little yellow tags inside your diapers or wipes boxes, be sure to enter them on the website to earn awesome prizes (again, free stuff is always nice in my book!). Huggies is an awesome brand that is giving back! Visit the Huggies Challenge website to take the Huggies Challenge. Complete challenges and win prizes! For every new challenge completed, Huggies Every Little Bottom will donate diapers to a baby in need. This is so amazing to me! I cannot even imagine not having a diaper for my little guys' bottom, so I love that this is a super simple and easy way to help Huggies give to babies in need. When you take the Huggies Challenge, you can win Huggies Rewards Points which can be used towards free diapers and free samples. Two lucky testers will win Huggies diapers and wipes for an ENTIRE year! How's that for awesome? Drawings for these prizes will take place on May 12th and August 25th. Be sure to participate and good luck! So, what are you waiting for? Go help a baby in need by completing the Huggies Challenge!